Waterfall Info: Coming from the top, this is the third waterfall on Spoilcane Creek. 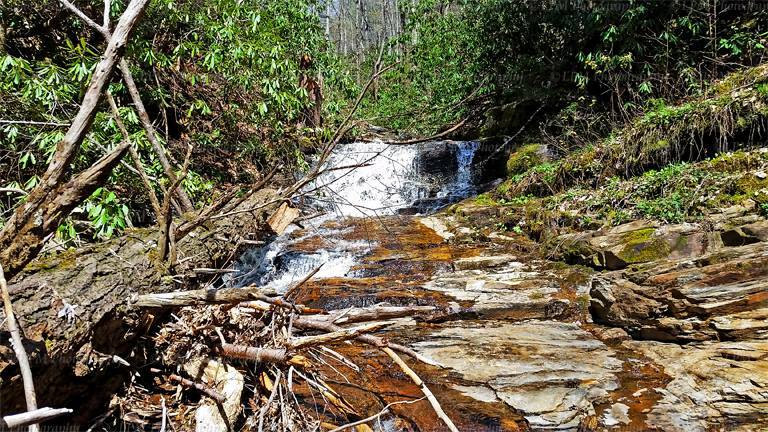 Access Info: An unofficial trail along an old road leads from Highway 75 to Spoilcane Creek and passes near the waterfall. You'll need to make a short bushwhack down to the waterfall.